This blog post is the first in the series of posts that highlight the most prominent new features added in version 6.5. We have significantly changed the way the statuses are displayed in the Viewer address book. Previously, for Internet-ID connections you couldn’t easily tell whether the remote PC was online and ready for connection and now you can. Below you can learn what each status means. This status means exactly the same as in previous versions – that you have been connected to (and authorized on) the remote Host. You may or may not be actively using any of the available connection modes. Note: Do not confuse Remote Utilities “logon” with Windows logon, as these are two different and unrelated things. 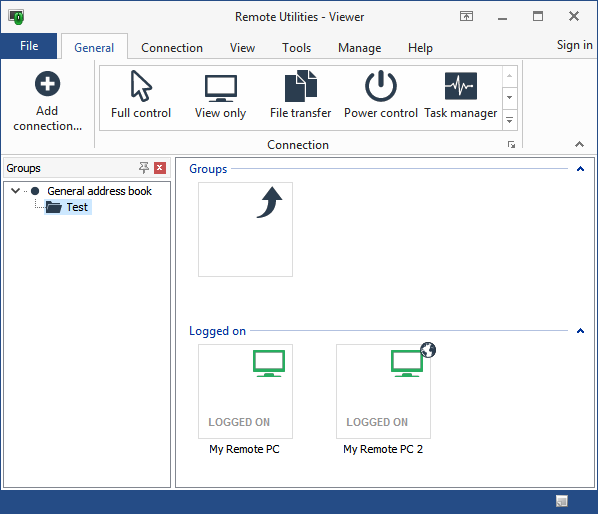 You may be logged on a Remote Utilities Host but still not be logged on in Windows on that remote PC. The Host works as a system service and doesn’t require a Windows user to sign in on the remote machine. Version 6.5 Beta 3 has been released. You can download the beta version from this page. The most important new feature available in beta 3 is a long-awaited online status indication for Internet-ID connections. 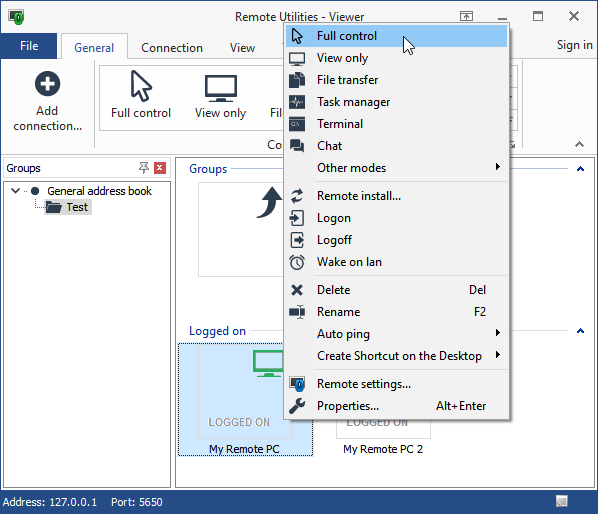 Now you should see if your remote Hosts are available for connection and also receive a notification in the system tray area when they come online. Check beta 3 release notes here.